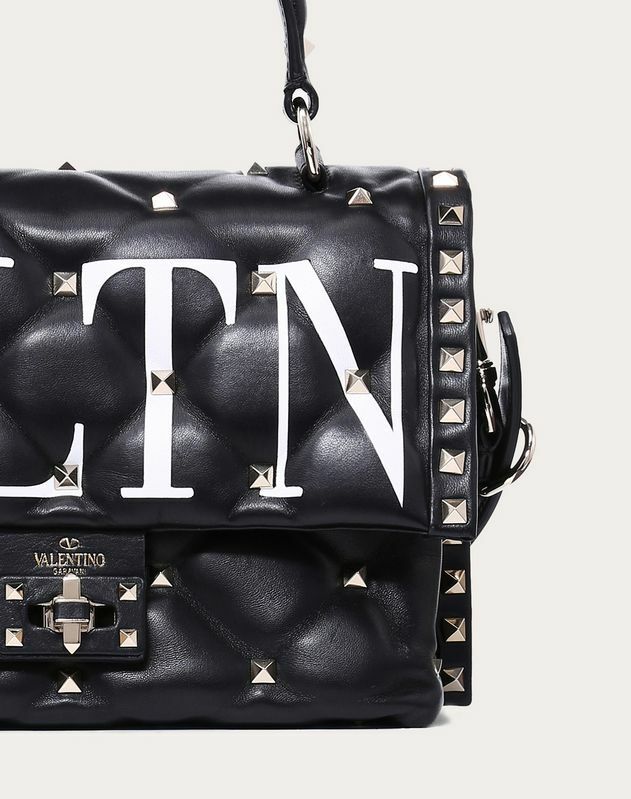 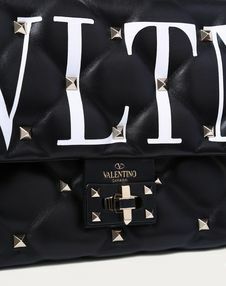 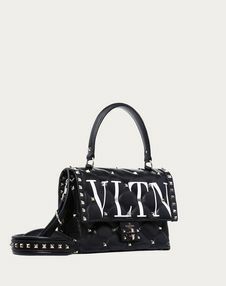 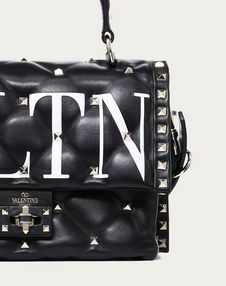 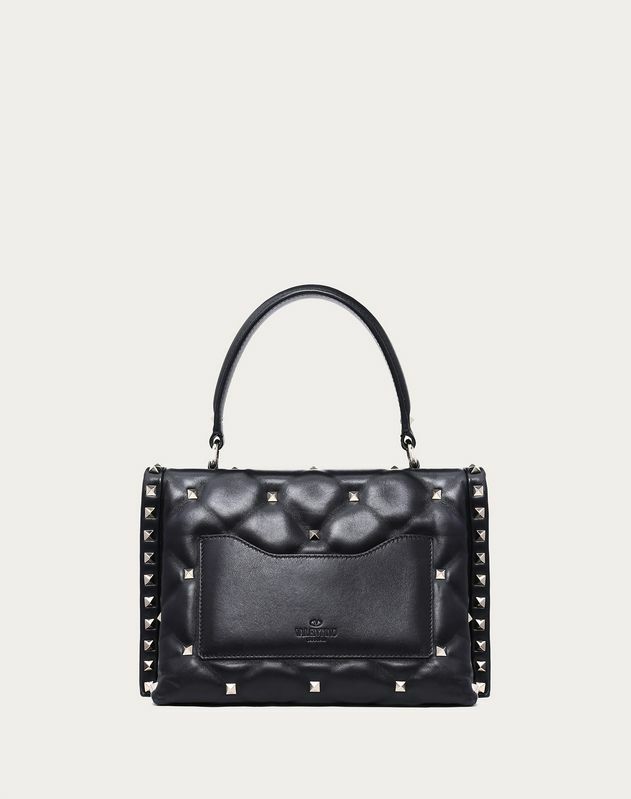 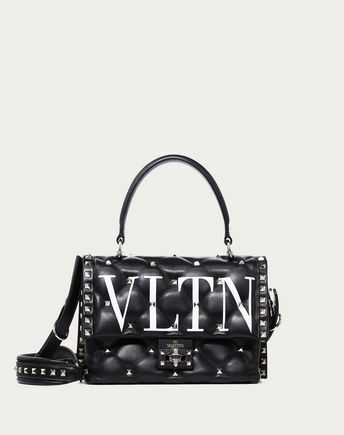 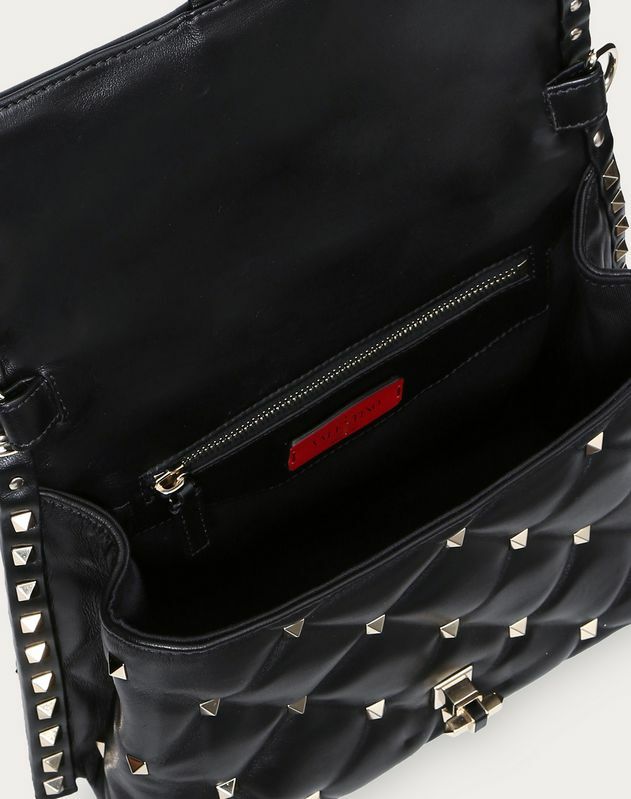 Valentino Garavani Candystud handbag in supple lambskin nappa with VLTN print surrounded by a platinum stud trim. Rhombus capitonné quilting with stud detailing. 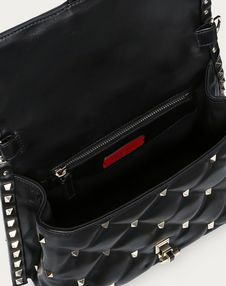 - Rear flat open pocket.